In short, you have all your power needs on this device with adequate protection! 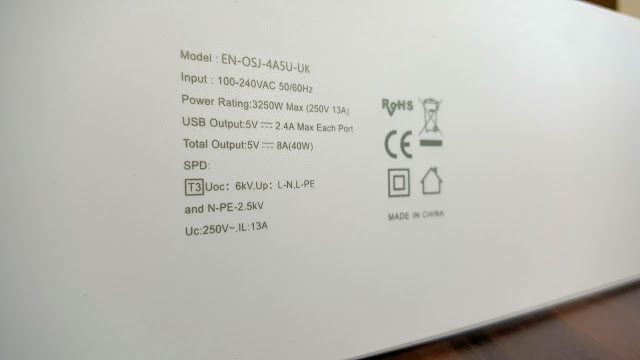 Only thing missing here is a Qualcomm QC 3.0 USB port for fast charging, also a full power down switch. 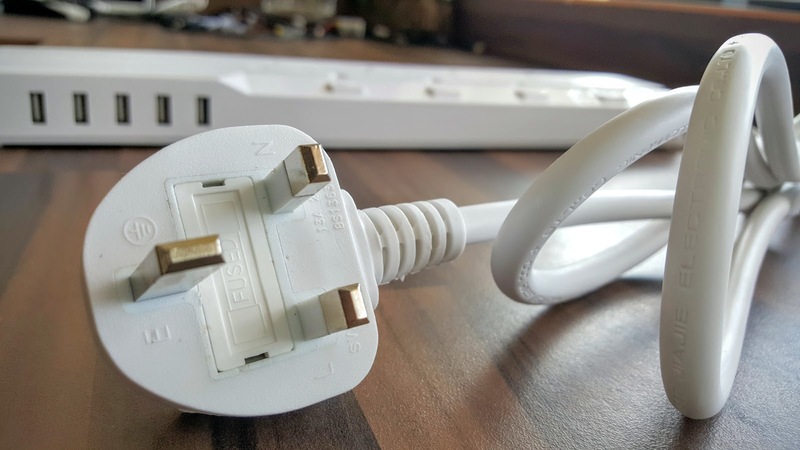 You will definitely have a smile when you open the box, the extension lead is that beautifully designed! 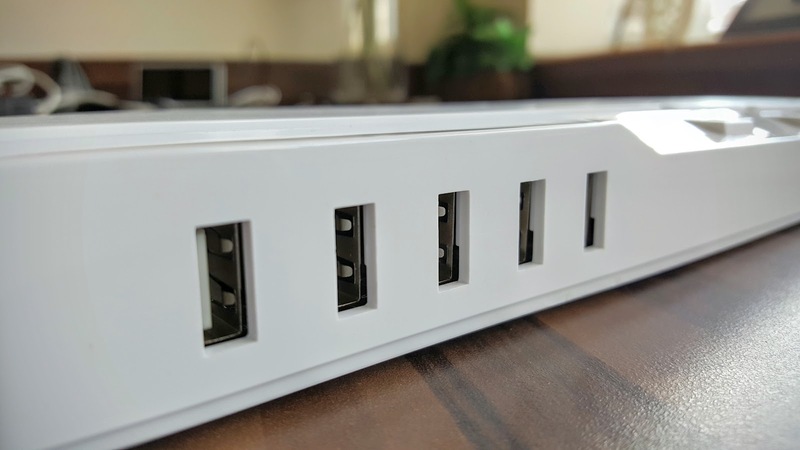 5 USB ports on the side is cable is giving up to 2.4A output on each port, which is tested and attained close enough to the claimed power. Each power sockets are individually switched. 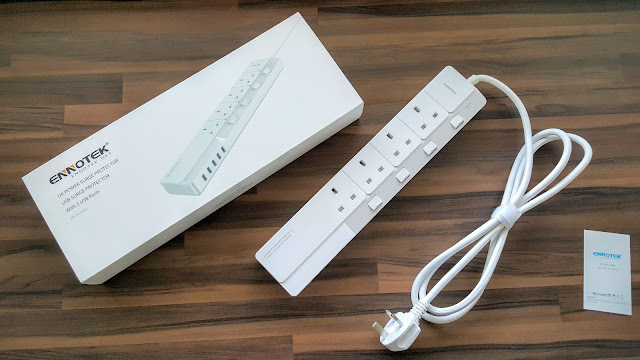 The switches are not built in cheap standard (as you see in supermarket ones) but very good quality. 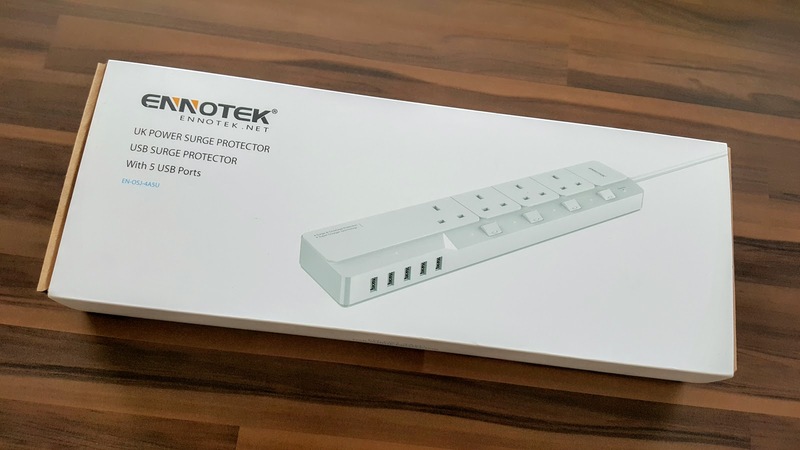 Comes in the box, just the power strip and warranty card. Usually power strips goes underneath the desk or hidden somewhere collecting dust and tangled up, but surely you at least think of leaving this strip on the desk. 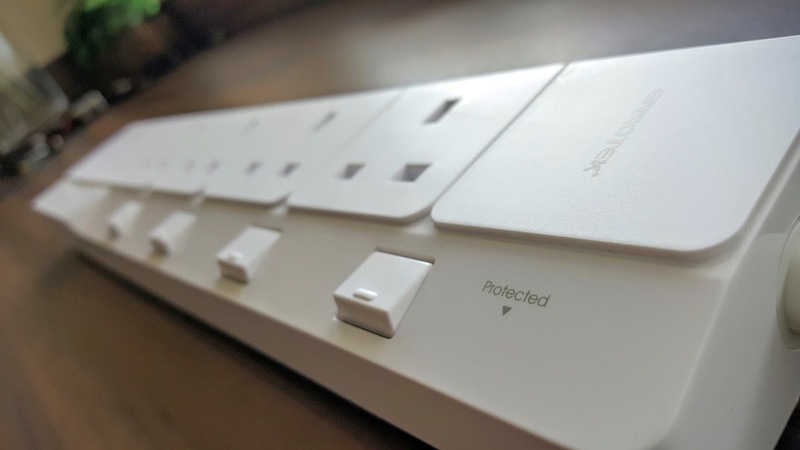 I’ve decided to keep it on desk, it looks beautiful, built very well to great standards, even has non slip feet to protect the surface from scratches. 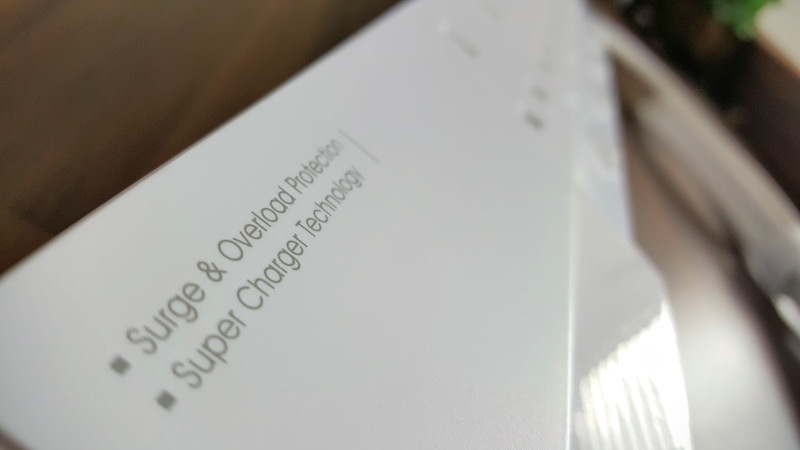 I’ve fully loaded all the 5 ports with iPad AIR, Nexus tablet, a drone battery, a Galaxy S6 and a battery pack, all charging together. 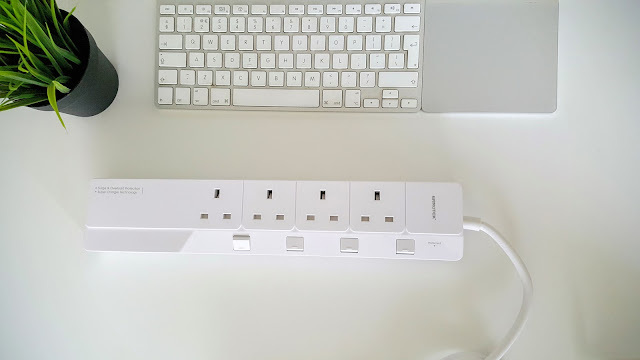 On the electricity sockets side of things, Plugged in iMac, Macbook Pro Charger and a very powerful video light - all worked as fine. Also tested the surge protection with qualified equipment. 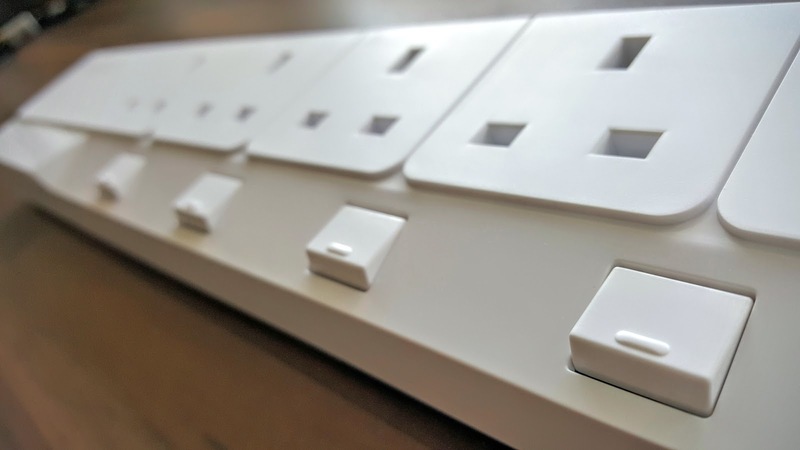 Spacing and design of the sockets is excellent as nothing overlaps anywhere losing out any of the sockets, the wire connected from the strip to wall plug is of high quality and durable. Please check out all the pictures, so you will get an idea what it looks like in real life. Also don’t forget to read through the specifications and certifications, If the specs are correct, this is built and adhere to IET Standards.